The Italian method of preparing coffee with espresso, steamed milk that has been turned around enough to produce rich foam gives us cappuccino coffee. On the other hand, the latte has far greater foam and textured milk. 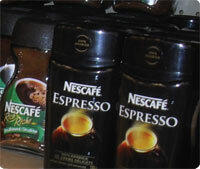 A cappuccino is the cheapest and most popular form of coffee available worldwide at restaurants, hotels and even bars. Latte is not that regularly available unless you are going to a special coffee shop. Also, in the case of latte, the coffee can be replaced with another drink that serves as the base like tea and motcha. Sometimes, in Italy, if you order latte, you may just get a glass of milk as in Italian that’s what latte means on its own. It was the Americans who popularized the coffee latte! Latte is also prepared the other way round as compared to cappuccino. Moka is brewed and poured into a cup containing hot milk. Unlike the international version of latte, the Italian latte does not include much foam. In some places latte may be served in a glass instead of a cup. But, according to tradition, a cappuccino must be served in some kind of a porcelain cup that has greater heat-retention properties. The foam on top of the cappuccino is supposed to act as an insulator and keep your cup of coffee hot for very long. It was in the beginning of the 20th century that the first machines of the espresso kind were made to create cappuccino. The machines were improved upon both in size and quality as the popularity of cappuccino grew particularly during the World War II. The most important ingredient in a cup of cappuccino is the texture and temperature of the milk that is being used. Usually a shot of espresso is taken and a hot steamy cup of milk is poured over it. There are different kinds of cappuccino like cappuccino chiaro (is also known as wet cappuccino and has more milk than the regular cappuccino), cappuccino scuro (that is also known as dry cappuccino and has less milk than the regular cup). Also, a popular form of art called latte art has developed where milk is poured into the heated cup of mocha to make designs on the surface! lanceaksh. "Differences Between Cappuccino and Latte." DifferenceBetween.net. September 18, 2009 < http://www.differencebetween.net/object/differences-between-cappuccino-and-latte/ >. This article is completely wrong… I am italian and have studied this for years. It is the capuccino the one with FOAM and not the latte. Capuccino is prepared with espresso and milk in equal amounts, the milk is poured as foam into the espresso. The latte (latte means milk) coffee is prepared with double the amount of milk. That means, one part of espresso, and two of milk. The milk is steamed but not turned into foam. Latte should have a thin layer of foam while capuccino is mainly milk foam.